• ARE WE SAFE FROM CIA/FBI SURVEILLANCE? • RESEARCH ON EMBRYOS DANGEROUS? • PLANET DISCOVERED 4.25 LIGHT YRS. AWAY? • AMERICAN INDIANS EMERGED FROM BELOW? Correction: I miswrote Ivanka Trump as Ivana Trump last week. Thanks to my sharp-eyed readers for catching that! On Tuesday, August 23, I will be back with Dr. Simon Atkins on his Skyaia Show at a new time—6:00 pm CT, 7pm ET, 5pm MT, 4pm PT. www.skyaia.com. The next show will be all about ATLANTIS & LEMURIA. If you would like to watch the show we recorded on this past Tuesday, you can view it at http://tinyurl.com/j8x48co. It’s all about the FIRST CONTACT book. The week before-- http://tinyurl.com/zkatxdp. We discussed past and future lives, reincarnation, and much, much more! They are all video interviews we did on Skype. Read an interesting explanation of “New Age” written by my old friend Lee Carroll who channels Kryon. Here is the link: http://tinyurl.com/gnjr2d7. He was the first to allow me to present THE GENTLE WAY on a Kryon Cruise to Alaska in 2005. This took place before my first book was published. The Roku TV channel had to go off the air when they lost their one editor due to medical problems. They have now posted the first and second episodes of my series THE TELEPATHIC WORLD OF TOM T. MOORE on YouTube at http://tinyurl.com/glzbpox. Second is http://tinyurl.com/hy8bcec and covers THE HISTORY OF THE GENTLE WAY. Please keep in mind that these episodes, at around 25 minutes, were a one-take for me and could have been more professional. When they put the second episode up, I think I did a little better. But I do discuss the Gentle Way and how it works in the first episode. And do you have any contacts with Metaphysical or UFO expo events that have featured speakers? There are so many, but most just have locals. Please let me know. The big ones need to be scheduled many months in advance. ATLANTIS & LEMURIA: Excellent Information! A fascinating, generally unknown history of the world. Highly recommended and really very fascinating. This book takes you to Atlantis & Lemuria and beyond. The information is amazing and it is an easy read. Thank you, Tom T. Moore, for sharing this excellent information. FIRST CONTACT: GW wrote: This is a fairly fast paced book with many interesting questions asked and answered. I found some of our past history different from what we have been told. I am amazed how the so-called government/CORPORATION could tell so many outright lies; of course, the people can and would be able to handle the truth. The CORPORATION did not know how to cover up their lies and deceptive ways and for TOTAL money hungry, excessive, rapacious, predatory greed. I am anxiously anticipating the next book. Hilda writes from Coral Gables Florida: Thank you for all you do to help us grow spiritually. I use MBOs & BPs every day and I try to get my son to use them also. He may use them, but he would never admit it! I live in Coral Gables, FL, and I am concerned about the outbreak of the Zika virus. Actually, I live just a few miles from the area where they are spraying to eradicate it. My questions: Where did it originate? Is it a man-made virus? How long before scientists come up with a vaccine or something to stop it? I have seen on TV that this virus has been around for a while, why is it spreading so rapidly now? Does the climate change have anything to do with this? There are a lot more questions!! Could you please compose an MBO for all your readers worldwide to say out loud to heal those that are already infected and for scientists to learn to eradicate/stop the Zika virus? Gaia, where did the Zika virus originate? 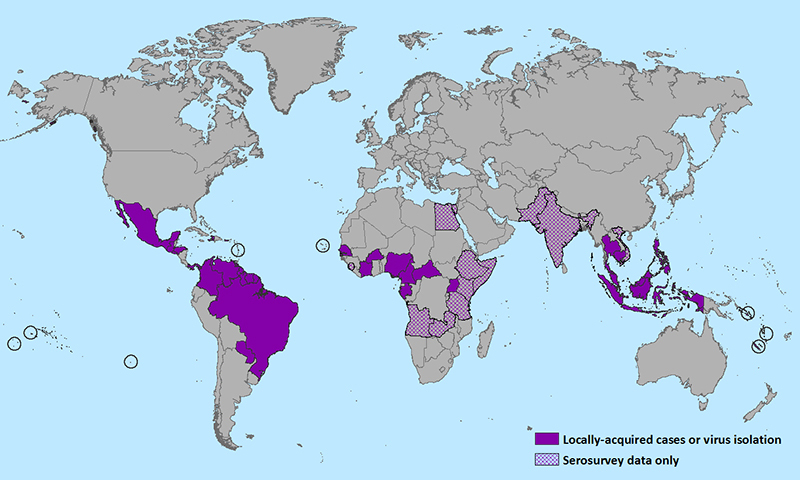 Yes, the Zika virus, as it is called, did originate in South America. There are many viruses that lay dormant that are activated in a number of ways your scientists have yet to discover—that’s a hint to them to focus on triggers. Will the vaccine undergo trials work? Yes, to a certain extent. It is not perfect, but will prevent the spread of the virus to the majority of people. In Miami, the Zika virus seems rooted in a one square mile area. Why is that? Conditions are perfect there for the virus to exist. Your scientists should be studying that area in more detail as there are things they could learn. Does climate change contribute to its rapid growth? Heat is one of the contributing factors to the spread of this virus. Scientists should be studying the mosquito to learn how it absorbs and then mutates it. It is more complex than they have yet to discover. As I have said before, it will not be the last virus to crop up over time until you learn the relationship and similarities between them all. Your scientists have a long way to go and much research ahead of them. In the future, will they learn how to treat a child with a smaller brain to grow the brain? Yes, but that is, as you can guess, quite sometime in the future. Curing people who have contracted the virus or preventing its spread will come first. When they are able to accomplish that, they will have made a major discovery that may seem completely unobtainable at the present time, but will take place in the future. ARE WE SAFE FROM CIA/FBI SURVEILLANCE? Does the CIA or FBI have a dossier on every single American, and do those groups have hundreds of researchers searching through FB, etc., for all possible members who are openly talking about corruption in government? I.e., is it really safe for an average, older person like me to be openly sharing every info source I find, revealing even more corruption than most members of FB have previously been aware of? Thank you for helping us outspoken rebels to learn to protect ourselves, if such is true about those two groups. Much love and gratitude. Theo, does the FBI, CIA or NSA have researchers scanning Facebook for people talking about government corruption? No, Tom. The only scanning being done by any government agency is to locate any person with terrorist ties. They do have the ability to search for certain key words that might identify someone who will become a threat. They have no interest in those that complain about government corruption. They would have to employ several thousand more researchers if they wished to review all the people who blame the government for whatever is happening in their lives. And that goes for Twitter and any other form of social media too. Big brother is not watching, Tom—only scanning for terrorists or potential ones. Janet in St. Louis writes: I heard on NPR radio today that the government has lifted its ban on part-human, part-animal embryos research. Normally I favor research, but this news caused a deep physical/emotional dread. Is this feeling legitimate in this life or is it because I have brief memories of my days in Atlantis working to heal the "things"? I would be interested in what contacts say about it. Theo, is the research on part-human, part-animal embryos benevolent? Yes, Tom. It will lead scientists to see the similar DNAs of life on Earth. It will simply lead to a better understanding of life. You will not repeat the creation of “Things,” as the Atlanteans called them. There is no danger of that now. Ali writes: Could you please ask why are the humpback whales sabotaging the Killer Whale hunts all over the world? I've attached a link to the article for you to look at. Gaia, why does it appear that humpback whales are disrupting Orca whale hunts? Yes, as it was pointed out, the Orcas will feed upon humpback calves if given a chance. You could describe this as survival of the fittest, as the humpbacks, who are generally a peaceful species, said enough is enough and are making it plain to the Orcas that their predatory methods will be fought. You might say the Orcas overstepped the boundary and now are paying the price. It has gone on for several years and will continue. Cathy writes: You've mentioned before that each person's soul will have an average of 800 lives on Earth. What about in the soul's entire existence? What is the average life span of a soul in their entire existence throughout all the universes? In the most recent newsletter, you were talking about yoga. I've read that practicing Yoga can also help clear and open your chakras. Is this true? Are there any other benefits for us on a spiritual level? Theo, can we say a soul’s existence is eternal? Quite so, Tom. In my long existence there has never been a soul that says it does not want to exist anymore. Each soul is imbued with a different interest, so there is never boredom. Theo, what are the spiritual benefits of practicing Yoga? Yes, we have already discussed the many physical benefits that practicing Yoga brings to assist in keeping your bodies from atrophying, but it also assists in opening and keeping open your chakras, and the act of breathing a certain way and slowing down your heart allows you to contemplate and reflect. Yoga is the most perfect exercise devised for the human body. As you have seen in your own Yoga classes, there are too many poses to be done all in one hour, so a good Yoga instructor such as yours will vary the poses from class to class in order to work different parts of your body. What were the mysterious “cart ruts” used for? They must have been at a time when the land was higher, as they go into the sea, and end at cliffs, so were they before the sea level rises from the destruction of Atlantis and Lemuria? Were they the same time as the Hypogeum or older, and were the stone temples of Ħaġar Qim and Mnajdra on Malta, and Ggantija on the neighboring island of Gozo, older or at the same time? Who built them, were they built with ET help, and what were they used for? Thank you! Gaia, how old are the cart ruts on Malta, and are they older than the sinking of Mu and/or the Atlantean islands? Even older than that, Tom, as this was in the middle of an early trade route with ships coming and going all the time. As the waters rose, they simply abandoned all those structures lost to the sea and built higher up. As you can imagine, this island lost people who drowned when the waters surged higher. Do the temples of Ħaġar Qin and Mnajdra on Malta, and Ggantija on Gozo, date older or to the same time period, and who built them? They do date back to that same time period and were built to honor their gods at that time. Lemuria sank 7,500 years ago and the Atlantean islands 12,500 years ago. PLANET DISCOVERED 4.25 LIGHT YRS. AWAY? Aravind writes from Australia: A little news but not sure if this is an actual discovery. If so, is the planet habitable and any lifeforms? Astronomers have discovered what they believe to be the closest habitable planet to Earth. However, using a reflecting telescope at the European Southern Observatory (ESO), astronomers have recently discovered exoplanet orbiting Proxima Centauri - a red dwarf, a small low-mass star about 4.25 light-years from the Sun. An anonymous source from the ESO told German publication Der Spiegel the discovery is the closest habitable planet to Earth, which means we could reach it within our lifetime. "The still nameless planet is believed to be Earth-like and orbits at a distance to Proxima Centauri that could allow it to have liquid water on its surface - an important requirement for the emergence of life," the source said. "Never before have scientists discovered a second Earth that is so close by." The European Southern Observatory are expected to officially announce the finding at the end of August. Gaia, is the planet discovered 4.25 light years away from Earth habitable? Yes, but not for humans. As your equipment used to analyze other planets becomes more advanced, you will see this for yourselves. In the future, you will develop devices that will be able to “read” these planets much more thoroughly, but it will take many, many years before that comes about. As you have been told before, even one hundred years from now this time period will seem quite antiquated, not to mention 300 to 400 years in the future. Just as you have mentioned recently, one hundred years ago you were flying biplanes and only had the most rudimentary of automobiles. You cannot imagine yet all the advancement coming in the next 100 years. Speaking of that, Gaia, why hasn’t another Jules Verne shown up to give us an inkling of what is to come? One is on the horizon, shall we say. He or she (I won’t give away anything here) is quite young, but already has these “fantasies,” as the parents call them, which will turn into stories as the child grows. Gaia, is it true that a planet that is not at our level of technology has discovered us? Quite true, Tom. Their overall level has not reached yours yet, but they have seen you and are trying to figure out how to contact you, just as you have been searching and trying to send out communications to the universe. You will visit these people one day, as you will achieve the ability to travel to the stars before they do. It will not be one of your first trips, since you will be visiting other planets in the Federation, but you will visit them as part of your own explorations. For my new readers, Antura is a member of my soul “cluster” or group and was introduced to me back in 2008 by Theo; so, from the beginning, I knew he was “benevolent.” After 800 lives on Earth, he’s back on his water planet living a life as part of a “first contact team.” As an amphibian that looks a little like the Abe Sapien character in the Hellboy movies, he lives in a city a mile deep in the ocean. You can read much more about him in my book FIRST CONTACT: Conversations with an ET. Here are more questions. Shelby writes: Thank you for everything you do! I was wondering if aliens have reflective eyes like the Grays, for example? Antura, do most ETs have reflective eyes? That is too broad a characterization, Tom. With millions and, yes, even billions of beings in the universe, it is impossible to make such a general statement. To a certain extent, yes, but not the same example as the Grays as your questioner asked. Antura, are those giant planetoid spaceships from this galaxy, and I would guess they are not from the Sirius solar system? Quite right on the second question. And as you might guess, they are not from this galaxy. They come from a galaxy where there was a need for the giant spaceships and the people who used them enjoyed the idea of lots of company, you could say. And, yes, many of them are born and spend their whole lives onboard these craft never knowing the feeling and attachment to a planet. In some cases, this was a necessity as their planet or planets were unstable and they had to find a way to escape them before they were destroyed. Antura, when will your ship depart in terms of Earth months or years, or is that not something that can be explained in Earth terms? The easiest explanation, Tom, is that it is scheduled to depart quite soon in Earth terms. The ship is being outfitted as we speak with the individual modules for each crew member, according to their needs and comfort, as well as modules for not only you and your family but other Earth humans that we may bring on board, with their permission you understand. You were told that there might be scientists and government people that we would bring on board. Several of these people we have been in contact with, but were under orders not to tell anyone. So time is short, but you also understand that, in Earth time, we must wait for the Russians to begin disclosure, and then let the dust settle, shall we say, before the Pleiadians make their public appearance. I would assume that the time line of all this happening will mean that we may not be meeting in 2017 our time? That is correct, but we are HOPEFUL [emphasis: Antura] that this time can be compressed somewhat so that we are not too far behind the schedule we gave you for our contact with you. Things will begin to move quite fast I’m told in the next 12 Earth months. You have already been given a conservative probability of the Russian disclosure occurring in the next 12 months of 60%. As we approach the end of this Earth year, everyone believes that percentage should dramatically rise. Linda writes: Thank you, Tom T. Moore, for your continued enlightening presence that enriches us all. Back in the late ‘70s or early ‘80s, I attended seminars in Black Mountain, NC, at the Light Center founded by Jim Goure. He would share with us about his relationship with Extra- Terrestrials, but said most would be frightened by some of their appearances. Later on at a house party at Ocean Isle Beach, NC, with a small group who had attended his workshops with me, we were discussing ETs and wishing we could meet them. We attempted to ask that they visit us. The next morning, I realized I had a "dream" or encounter with two very colorful beings who seemed to appear in the room having come through the screened window. Was this just a dream or did I actually experience their presence and if so, who were they? Any other information about them or Jim Goure would be appreciated. Thank you so much for your valuable service. Antura, did Linda have an encounter with ETs at Ocean Isle Beach, North Carolina, or was that just a dream? More than a dream, but not a physical encounter, shall we say. It was on a higher level that is a little difficult to explain, but she was visited during her sleep time. They made sure her out-of-body experience, we will call it, was pleasant and not frightful. Peter in Canada writes: I had a problem with my Apple computer. I really need it for composing music. So I did an MBO just before going to the Apple Store to see what’s wrong with the computer. I didn’t have much time to wait, but didn’t have a choice. They found out it was the video card that died. Then I remembered, I did an MBO. So he showed me the paper--$800. Then he told me to look at the bottom of the page--$0. He said that Apple has a policy that when someone takes care of his computer that they sometimes don’t charge anything. I thanked inside for the help on the MBO. Then I did another MBO so that I get back my computer faster than expected in good shape. Three days later they called me to say that it was ready and that I could come and get it free of charge. Wow! MBOs can really change your life. Thank you, Tom, for teaching us all this! Carol writes: I have a very large window over my entry that has a pleated shade 97" wide and 62" long, it is powered by a battery-operated motor. Recently, the motor was humming, but the gears didn't engage. It was sent back to the factory for repair. Alas, I was informed it was an older motor and they no longer had the parts. So I requested an MBO that I would somehow be able to get it repaired instead of spending $1800 for a replacement shade. I found out that my installer had a new motor in his shop that would work and he put it in at the cost of only $200. That really made me happy! AMERICAN INDIANS EMERGED FROM BELOW? Shravaka writes: Since our native tribes here in North America speak of their ancestors emerging from the Earth, where did this take place? What was their origins? Or are these stories incorrect? Gaia, did any Indian tribes originate or spend most of their time underground in their early years on Earth? As we have explained before, there were times when these tribes spent time underground in caverns for both protection from not only the elements, but also from wild animals and marauding bands of Neanderthals, and at times Cro-Magnons as they were still on Earth although dwindling quite rapidly in numbers. They could disguise the entrances quite well when they had to. Even now, many of the caves have not been discovered in modern times. So, the legends became embellished as there was finally a time when they did not have to dwell in these caves or caverns and moved out. This question came from Connie and asked if it was true, in a channeling she read, that some souls were fragmented by nuclear explosions and had to be rounded up and healed. Theo, any truth to the statement that there were soul fragments, which were fragmented themselves in a nuclear explosion and had to be recovered? That is incorrect, Tom. We go back and remind you that all transitions are known beforehand. This was not some event that was unknown before it happened. Those statements were meant for a certain group of people. Which leads me to ask what statements am I given for a certain number of people? Not the same. As an old soul in terms of Earth lives, your soul contract is to give correct information—as best you can receive it—to a larger group of people, and we might remind you, that you’ve been told numerous times a lot of your information will be studied by people in the future as people progress and wish to learn more about not only this earth but the whole universe. Denell asked about a recent discovery by archeologists in Cornwall, England. Theo, was the site in Cornwall, where archeologists are digging, the legendary Camelot? As we have explained in the past, Tom, there was a period when time lines crossed and Camelot existed for a short time in this time line, but only for a short time. 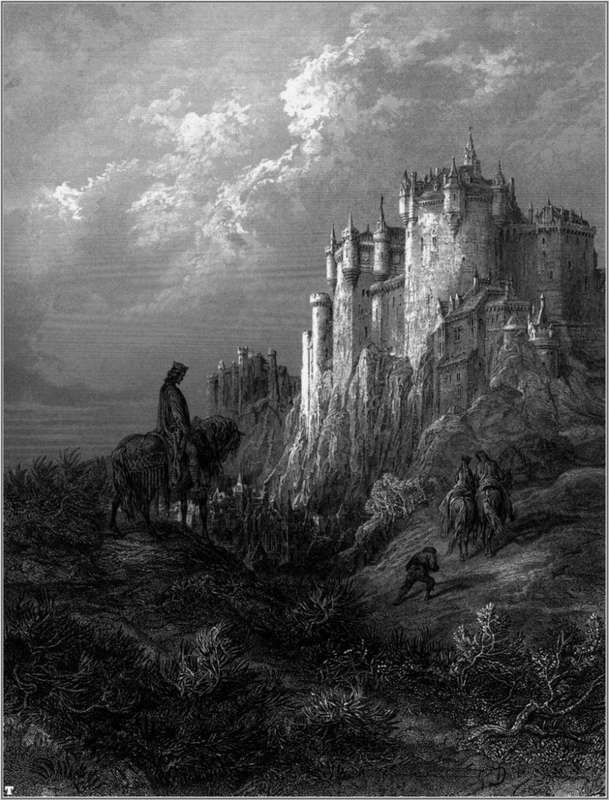 So yes, those remnants of Camelot do exist, but are not too extensive on your time line. Jay writes: What are the Pyrophyllite Spheres? South African miners found a collection of metal spheres within Pyrophyllite deposits. 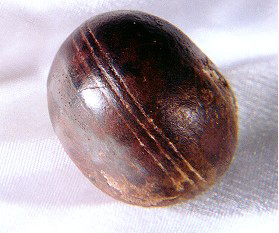 These spheres were carbon dated to be over 2.8 billion years old, predating intelligent life by quite a large margin. The craziest thing about these spheres is that they have markings on them and are balanced more accurately than we can even make them today. Are they signs of a previous civilization or mysteries left by visitors for us to ponder? Gaia, what are the Pyrophyllite Spheres found by South African miners and dating to 2.8 billion years ago? They are balanced and have markings. Yes, Tom. A true enigma as they predate the Explorer Race by millions and millions of years. As you should have guessed, it was a race of people that lived there and moved on when it was decided by Creator to use this planet as part of the Experiment. Archeologists will find little to nothing more of their legacy. As you might assume, they were even at that time far ahead of you, and now they have found a planet you will visit one day in the far future. You will find these same spheres and will finally solve the mystery as they tell you their history. Auntmommie writes: I found out about MBOs from a spiritual woman named Marina, who was recommended to me by my friend, Barbara. I thought it was amazing what Marina told me and I went right out and bought your book and then proceeded to tell as many people as would listen about the magic and the beauty of using MBOs and BPs. That first Christmas after discovering The Gentle Way, my whole family got your book as a present from me. It has been my experience in touting the benefits of MBOs and BPs that the younger generation gravitates much more towards them and uses them more than people my age…which is cool…I guess some older dogs don’t like to learn new tricks! Have I been a follower of, and have I practiced, the Gentle Way in past lives? This just makes so much sense to me, more so than anything else, and so I ask. Thanks so much, Tom, we all very much appreciate all that you do. Theo, has Auntmommie been one of my followers before and practiced The Gentle Way? Yes, of course, Tom. She was a follower and migrated with you to Egypt. She is an old seasoned hand, you might say. In this life it came back to her quite quickly, like wearing an old suit. It just felt comfortable. She will continue to spread the word, shall we say, knowing its benefits.